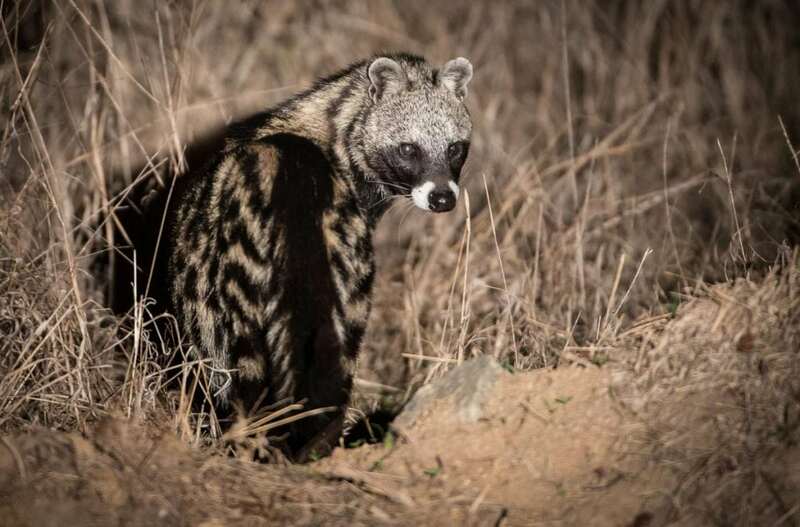 The African Civet is a type of African Viverridae and exist in sub-Saharan Africa. Nocturnal, they spend their nights hunting prey and their days sleeping. What makes them distinct is their coloring. They are black and white striped. They also have a black circles that encompass their eyes giving them the appearance of a raccoon. Find out more!